Last night I drank some Georgia wine, and I’ve got good news and bad news for you about it. The good news is that the wine, from Wolf Mountain Vineyards outside Dahlonega, was darn good stuff – a crisp, floral, grapefruity blend of chardonnay and viogner. The bad news? It’s not really Georgia wine. At least not if you focus on where the grapes came from. The label simply says, “American Dry White Wine.” Based on that label, the grapes that went into it could have come from New Mexico, or North Dakota, or New York City. I love America, but designating a wine as just “American” feels a little… lost. That lost feeling led me looking for answers about the state of Georgia’s wine industry. Winemaking is not easy. Winemaking in Georgia? Even not-er easy. One of Georgia’s most well respected grower/winemakers shut down earlier this year after repeated losses, due to the impact of our admittedly erratic climate. I reached out to Wolf Mountain’s winemaker and vineyard manager, Brannon Boegner, to get his thoughts. He said that, “over the past 13 years of making wine in Georgia, we’ve experienced ‘acts of mother nature” four times which have caused us to lose our entire crop.” Now, Georgia is not alone in this depressing fact – “acts of nature” have had major negative impact in places ranging from Washington State to Bordeaux and Burgundy – but our track record here is not reassuring. Is it possible Georgia is just not meant to be a rich and reliable wine growing region? Whatever the case, Georgia winemakers and growers continue to soldier on against the adversity of mother nature. And you have to respect their tenacity. 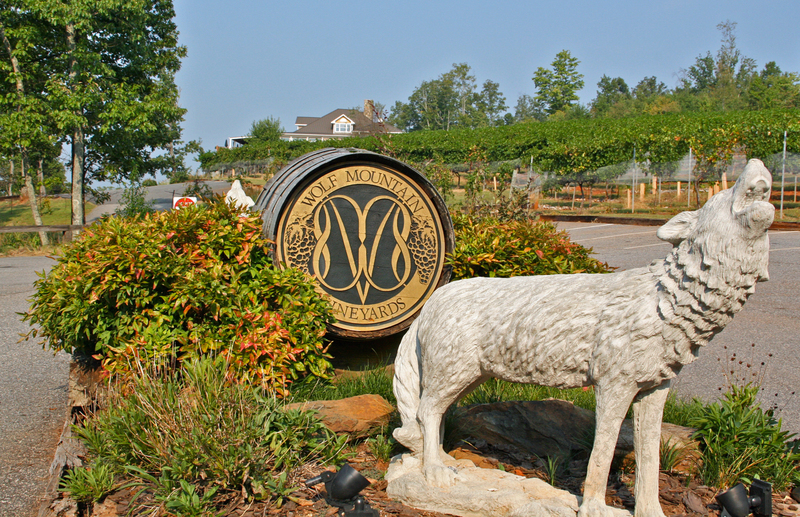 Wolf Mountain Vineyards is one Georgia winery that has done well. They make award-winning wines (“over 100 medals in major U.S. competitions, including Georgia’s first ever Gold medals at the prestigious San Francisco Chronicle and Los Angeles International Wine Competition”). They have a beautiful winery/tasting room/café/event space in the north Georgia mountains, and they consistently see more demand for their wine from winery foot traffic alone than what they can possibly supply. And maybe that’s part of the problem. The need to balance both the supply side of making wine and the demand side of being a successful winery. Is it possible Georgia wineries like Wolf Mountain are TOO successful?? Better yet, does it really matter if the wine sold in Georgia wineries takes advantage of the excess of wine grapes being produced in the fertile soil of California? I bet you’re saying, “heck yeah,” but think about this… do breweries in Georgia use 100% local hops? Do they use even 1% local hops? Would you expect a Georgia distillery making vodka or gin or whiskey to use only Georgia-grown grains? I bet your answers to those last three questions are NO, NO, and NO. So why does it matter if a Georgia winery brings in some California (or New York, or New Mexico, or Idaho) grapes? Of course, wine is known for its sense of place – its terroir – much more so than those other beverages mentioned above. For the folks who are willing to spend $20 and more for a bottle of wine, it’s often not enough to know that a wine came from California, nor even that it came from Napa Valley, but that it came from a sub-appelation like Howell Mountain, or even a specific vineyard situated ON Howell Mountain. Wine geeks geek out over individual vineyards. In Burgundy, it frequently gets down to which specific rows at a particular elevation on a particular hillside are used for a particular wine. THAT is what “terroir” is all about – how those minute distinctions in the soil can translate into differences in the bottle. Which brings us back to the problem of a $20 bottle of “American” wine that comes from a winery in the lovely, rolling hills outside Dahlonega, Georgia. We CRAVE the local. We ROOT FOR the local. And when our local wine, our Georgia wine, is made from non-Georgia grapes, there’s a natural tendency to feel that we’re being (at least a little bit) hoodwinked. Especially if you’re only looking at labels and not digging into the background of what’s really going on. Wolf Mountain’s Boegner noted that, in Georgia, the “white grape cultivars are especially susceptible to freezes or frosts which can wipe out an entire vintage.” Their solution has been traveling out to California to team up with growers in regions ranging from the Russian River Valley, to Mendocino, to the Sierra Foothills. Clearly, Wolf Mountain does not take this task lightly. Boegner went on, “I travel to these vineyards to talk with the managers and establish a relationship in which they grow the grapes to our specifications. All grapes are delivered to Wolf Mountain and the wines are produced here.” Wolf Mountain also joined up with nearby Frogtown Cellars to form the Georgia Fine Wine Alliance. While Wolf Mountain has focused their vineyards on red cultivars, they rely on Frogtown to provide Georgia-grown white grapes, at least when available. Wolf Mountain and Frogtown also aim to follow a strict truth in labeling policy of only labeling wine as “Georgia” wine when 100% Georgia grapes are used. Legally, winemakers can go up to 25% from out of state before they have to change that Georgia label, so this is a much stricter practice than what is legally required. Very few Georgia wineries are following this practice now – blending in out of state grapes is common practice, though not commonly made clear. 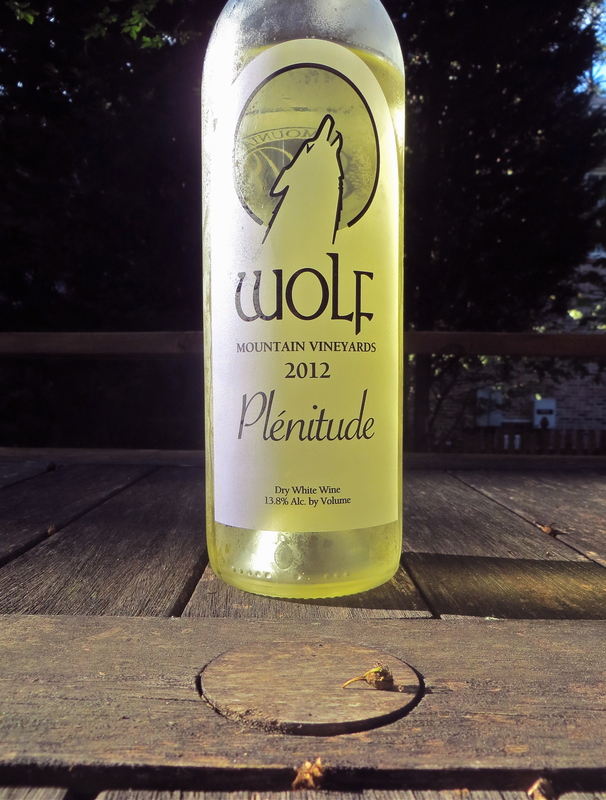 To that point, in 2011, Wolf Mountain’s Plenitude was made with 100% Georgia-grown grapes. And it received a 90 point rating and a gold medal at the Los Angeles International Wine Competition. Not too shabby. Wolf Mountain is purposefully labeling their wines as either 100% Georgia, else 100% American, “keeping the two product lines distinctively separate.” I admire the stance. At the same time, I’m a little bothered by the fact that Plenitude’s label reads, “our Family Estate represents the ultimate North Georgia Wine & Food Experience.” Sure, it’s marketing speak, but surely the ultimate North Georgia wine experience involves wine made from grapes grown in North Georgia. Am I being too nit-picky? Noted Atlanta sommelier Steven Grubbs (of Empire State South) was the one who recommended Wolf Mountain’s Plenitude to me. He recently took a trip through Southern wine regions, visiting Wolf Mountain and a few other Georgia wineries before heading on into the Carolinas and Virginia. He enjoyed the Georgia wines, but noted that he was “disappointed” by the news that the wineries were supplementing their own grapes with California fruit. Some, like Doug Paul of Three Sisters, another Dahlonega area winery, say they simply refuse to make wine from grapes grown outside Georgia. That’s one way of approaching the issue, and probably the more stubbornly Georgia way to do it. But it’s not necessarily the path to the best wine, or the best winery experience for visitors. Back at Wolf Mountain, it’s evident that the Boegners are both dedicated winemakers and smart businesspeople. I know they’re committed to the cause of Georgia wine. They’ve calculated what it takes to make very good wine, hopefully at a profit, that will keep the crowds driving up into the Dahlonega hills for a taste of wine country. I just wish our Georgia climate were more conducive to their endeavors. I wish that our Georgia wineries were not just places that make wine IN Georgia. I want them to be places that make wine OF Georgia. And I really wish they could succeed in doing so. But I’m just not sure that’s the case – at least on a year in and year out basis. I guess that’s the bad news. But when you’re up in the hills outside Dahlonega, enjoying a delicious wine made in the very same winery who’s offering you this sweeping view, maybe that bad news is not so bad after all. At that point, being “American” feels like a fine place to be. “Plenitude” is a blend of chardonnay and viognier, fermented and aged in stainless steel, with whole cluster pressing. The nose is lightly floral and grapefruity, a bit of cantaloupe too, with a lightly herbal edge (is that oregano?). I’d probably peg it as sauvignon blanc, but you can pick up both the chardonnay and viognier pretty well if you think about it. This has nice body to it, a bit lush, but the stainless steel fermentation keeps it crisp. The acidity is bright, not quite sharp, but very present. Grapefruit again is most prominent. It’s got great balance between that acidity and the round floral notes and the fruit. Very enjoyable stuff. 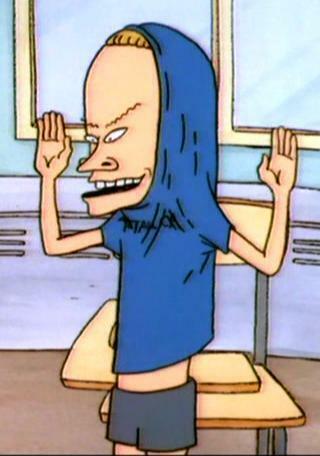 And 100% American. Made right here in Georgia. There was sad news yesterday from one of Georgia’s pioneering winemakers – David Harris emailed friends and posted to Facebook that he is closing BlackStock Vineyards and Winery. The reasons cited included “repeated crop losses due to the exceptionally warm winters.” An inconvenient truth, indeed. Harris worked tirelessly over nearly two decades to grow great grapes and make great wine in north Georgia, and he met with a good deal of success until this recent turn of events. While dealing with weather difficulties is nothing new for growers, there’s an increasing recognition that climate change will be a major concern for wine growers the world over (just Google “climate change and wine” and read the litany of news articles). Seeing warmer winters driving out one of the leaders of Georgia’s young wine industry, though, is truly sobering. Many Georgia winemakers are relying on bringing in grapes from other regions, which may fill the bottles but also undermines hope that Georgia can actually grow worthy grapes. BlackStock earned many awards for their wines over the years, with a range of merlots and viognier in particular that were among the best Georgia wines made (and which I’ve personally enjoyed very much). BlackStock has also been one of the few Georgia wines readily available at retail in Atlanta. I am very saddened to inform you that we are closing the vineyards and winery at Blackstock. It has been a wonderful experience to get to know all of you and be a source of relaxation, fun times and great pleasure, through hosting you at the vineyard and providing wines for your table. In the end, we have suffered from repeated crop losses due to the exceptionally warm winters and the early bud-break dates. This has resulted in normal frost dates having a devastating effect to our crop. We have also felt the sting from selling fruit in a soft economy and the importation of grapes and wine into Georgia wineries, eroding our market when the crop was plentiful. I had a wonderful dream and lived it for 17 years, but while pages turn and chapters close, beautiful memories were made in this exceptional setting that will not soon fade, and I must thank you all for being a part of that story. I am especially thankful to our small group of “angel” investors, several of whom have passed away now. This was a very classy group of individuals who shared my vision and dream and saw it come to fruition in every aesthetic way, I am just sorry that we couldn’t make it sustainable. While, in many ways, our fate was sealed on April 12th, I have been through every scenario imaginable to try to survive, but have also been through the roughest part of the reality emotionally. I have realized that some of our most passionate patrons are going to have a sense of shock and true grieving and, for them, please do not hesitate to reach out by email, FB, or text. I truly hope someone ends up continuing operations here after I have moved on. Personally, I have been blessed with another opportunity for which I am passionate and thankful. Unfortunately, it is going to take me away from Georgia. I will miss my many friends made at Blackstock, but hope to stay in touch. Here’s to a Happy and Prosperous New Year to you all!